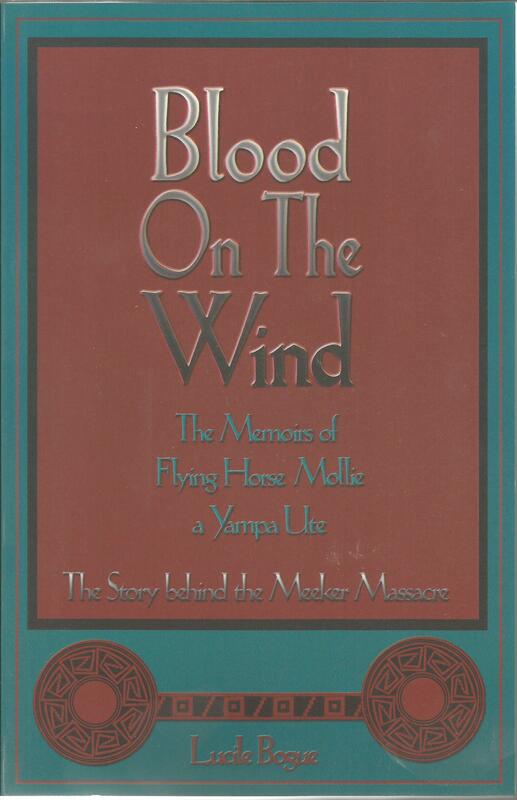 Young and old readers will warm to this story of the last days of the Ute Indians in the land of the Shining Mountains, as told by Flying Horse Mollie, a Native American teenager. Through Mollie’s eyes, the reader catches more than a glimpse of Indian culture on the cusp of change. Mollie escorts the reader through the seasons, as the band winters on the White River Reservation near present-day Meeker, and summers along the Yampa River near present-day Steamboat Springs. The reader then hurtles through the events which ultimately bring Mollie and her kin to their knees and drive them from their ancestral home of 500 years. This compelling tale transcends these events to shed light on the story of displaced peoples everywhere, particularly children, who grapple with prejudice, persecution and betrayal even as they are struggling to reach maturity. In Blood on the Wind, Mollie travels a painful road from childhood to adulthood, sharing her fears for her future, her disappointments in the adults who fail to protect her, and her sadness in the face of loss. But, with youthful optimism, she clings to hope.